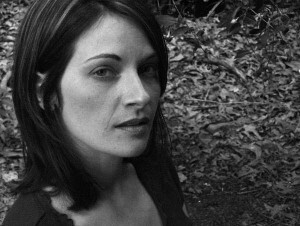 Kelley is a bestselling author and modern shaman in North Carolina. She is a lifelong intuitive, who through the challenges of young adulthood turned her personal crises into sources of healing. I love writing. It’s been my primary means of making sense of life and expressing myself since before i learned an alphabet. As a very young child, my mother used to scribe stories while I dictated them to her. They are my first memories of writing, and were fabulous times with my mother. Writing remains a kindred, though it’s also become a way of teaching and engaging others to find their passions. I have met many people through my books, and I look forward to meeting many more. I write like I’m on fire. I dash out an initial draft, then craft it back to something that may make sense to other people. I’m a pantser as well as a plotster. I like a general direction for where I’m going, though how I get there is anybody’s guess. I create a storyline on a whiteboard and take photos of it, then draw in various sub-plots and arcs. I usually get the first working draft on the comoputer, but all edits are done long-hand. There’s a very different synaptic response between typing and penning words. Both are valuable. I write both fiction and non-fiction, which are quite different creatures. Non-fiction is easier, in that the direction is fairly set. That is also its challenge–I can’t veer too much. It can feel rigid. Fiction relies more on raw artful creation. If you don’t write well, fiction will suss you out in a heartbeat. I love both, really. I not only talk to my characters, I call in the spirit of the full story and talk with it. My path is shamanic, and I engage the life force of everything on my way through a project. It makes all the difference in not getting to self-absorbed in a project, and it keeps me on-task. Write. Keep writing, no matter what. And if you want to write for publication, realize that is an entirely other job from the writing, itself. Part of the job is dealing with rejection *well*, and doing all the things required to keep promotion afloat. It’s not the dream job most think or wish that it is, though being published is a pretty amazing accomplishment to carry through life. I always knew I would publish books. Like I said, I knew when I was as young as four years old. Publishing was all I ever wanted. There’s been a lot of awe and grief along the road to publication. In all, I wouldn’t change it. Budding authors who want to publish really need to make peace with how hard the publishing end of writing is. It’s more competitive than ever, ridiculously underpaid, and very challenging. Getting started, everyone thinks getting past the slush pile is the hard part. The real hard part is that even past the slush pile, the demand and level of work put in increases. If you want to be a career author, you have to be a little crazy. I think it has to yield some sweeter spots than it has over the last decade. We’ve been some incredible triumphs in the industry, and also a lot of broken dreams. The reality is, it takes a luck factor and timing to earn a living as an author. I’d love to see the distribution of work to payment reflect what a tough job it really is.